A wide range of high security Cantilever (sliding gates) Gates designed and manufactured from light weight aluminium for sites requiring the ultimate in security. Some of our wrought iron railings and gates integrate graceful with swirling spirals while other designs incorporate strong patterns and repeating design motifs. 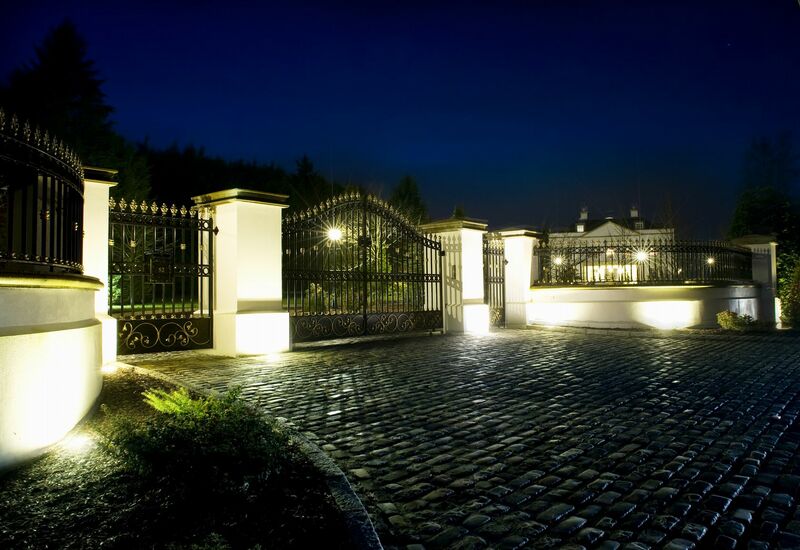 We will be pleased to quote for your specific gates and railings requirements.